The Second Vatican Council document Lumen Gentium reminds us that "The Eucharist is the source and summit of the Christian Life. 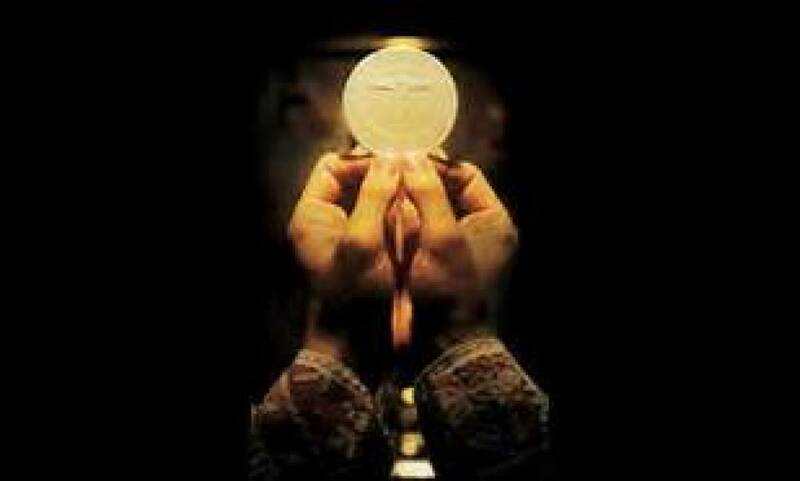 As Catholics, we believe that during the holy sacrifice of the Mass, ordinary bread and wine are transformed into the Body and Blood, Soul and Divinity of our Lord and Savior, Jesus Christ. We are bound to join in the celebration each Sunday and on Holy Days of Obligation as members of the worshiping assembly and to receive Holy Communion at least once during the Easter season. Why would one attend Mass and not receive the Eucharist? If we are not in a state of grace, we should not approach the Altar to receive. Sin separates us from God and one another. When we sin, we must first experience the healing heart of Christ in the Sacrament of Reconciliation. Then, washed clean by God's grace, we are once again free to participate in the Eucharistic Banquet. After having been baptized into the faith, we enter into a period of preparation to receive the sacraments. During the course of our CCD program, youngsters prepare for the Sacraments of Reconciliation and First Eucharist in the 1st and 2nd grades. Baptized Catholics who have not yet made these sacraments can prepare for them either through our RCIC or RCIA program depending on age and maturity.